Ask Here PA is designed to provide fast answers to your questions, using information found on the Internet and in proprietary databases funded by libraries. 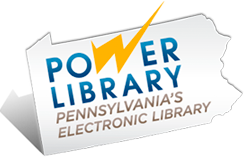 In most cases, Ask Here PA Librarians will provide an answer online in 15 minutes or less! If your question involves lengthy research, we’ll get you started and/or provide a referral for you or your question. Click the button below to begin your chat on the QuestionPoint website.